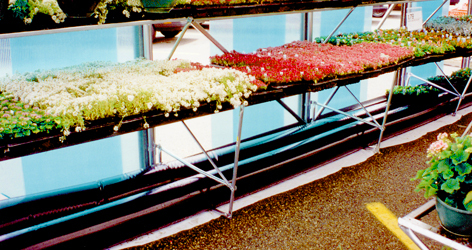 You’ll capitalize on spring plant sales with this space-efficient, modular structure. 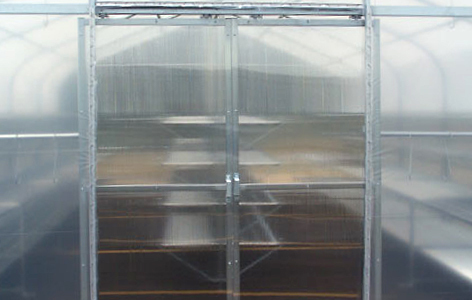 Designed with additional side benching, this greenhouse fits an enormous amount of product in the length of just one parking space (about 18’). 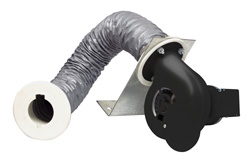 Additional benefits include superior strength, easy expansion options, and SNAP2000™ connector design for simplified, tool-free set-up. Jump-start your sales season with the affordable Bench-Mart SR system. Bench-Mart SR comes with display benching built in. This inexpensive reusable hold down system for the Garden Mart, Smart-Mart and Bench-Mart SR is quick and easy to install and will protect your structure from high winds. they stand up to the rigors of a busy retail environment. 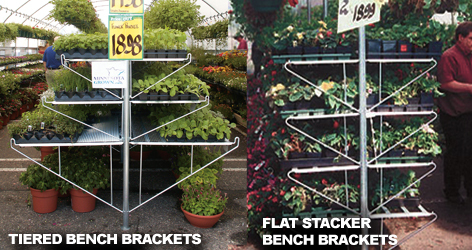 Tiered bench tops: The tiered bench top arrangement is one of the options for the center benching in your Garden Mart. 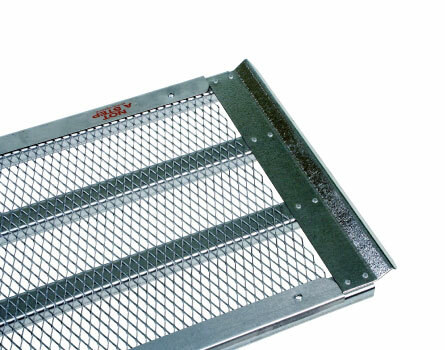 They come in either roll-form or expanded metal style. The tiered arrangement consists of three bench tops, 18”, 23” and 36” in depth. This option creates a cascade of color and allows for more light to reach all of your product. 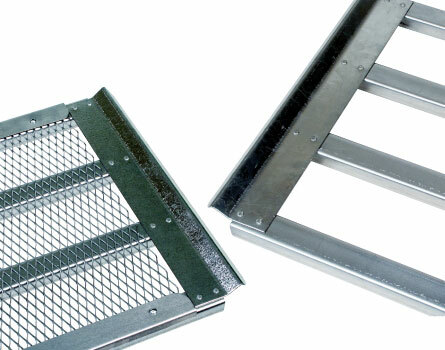 It leaves you with a slightly smaller aisle (4’6”) and can hold 21 flats per each side of a 6-foot section. Flat Stacker bench tops: The flat stacker bench top arrangement is one of the options for the center benching in your Garden Mart. They come in either roll-form or expanded metal style. The flat stacker arrangement consists of four 18” bench tops ‘stacked’ in a row. 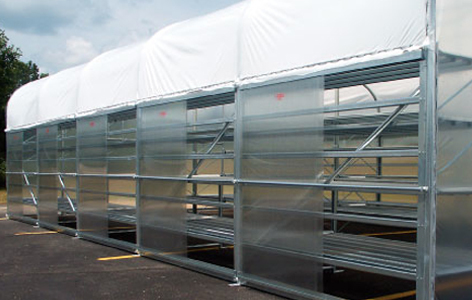 This option gives you a wide aisle (6’) and can hold 24 flats per each side of a 6-foot section. Create additional avenues for customer traffic. A choice of clear 6 mil. roof polyethylene with clear poly on the end walls. Our poly coverings are UV stabilized, and come with a four-year limited warranty. 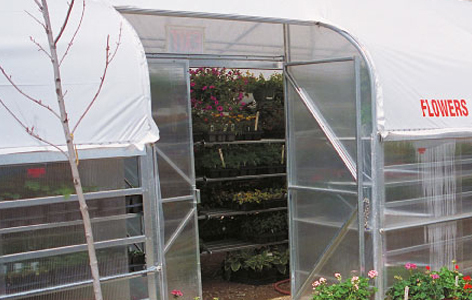 Keep your Garden Mart® looking new with replacement Slide-Side panels. This inexpensive reusable hold down system for the Garden Mart, Smart-Mart and Bench-Mart SR is quick and easy to install and will protect your structure from high winds. (4) Water Tubes are recommended. Prices are subject to change. Additional configurations are available. Please call for a quote. You can download the setup manual below . You will need the free Adobe Acrobat Reader to view these files.